I wish I had been more grateful in my twenties. At the time I thanked my friends and family, but I didn't really think it through. In my thirties I realized just what a big thing little gestures can be. Sometimes we can all forget to be thoroughly grateful when someone goes beyond the usual and does even a small gesture. If I could go back I would take a few minutes and really be grateful for the small things. Many of my favorite memories are the small things that were done for me: my roommate renting my favorite movies after having my wisdom teeth removed, my work friend helping me move at the last minute and my college friend that always have coffee and turbo truffles ready when we studied until 2 in the morning. I remember all of these things and as I get older I cherish the people that helped make the memories. Many of the people attached to the memories are no longer a part of my current life, but they are an integral part of my memories, and for that I am extremely grateful. I just wish that I had been better about being grateful when the memories happened. With the weather being very cold I have been making a lot of soups and stews. When the temps dip their is something soothing about warm foods. Last week I tried a new recipe for Spicy Beans and Wilted Beans from the February 2014 issue of Bon Appetit Magazine. This recipe has 13 ingredients. It takes 4 and a half hours of total time, 30 minutes of which is active and makes 6 servings. I did make a few changes to the original recipe. First I used red pepper flakes instead of chiles de arbor, chickpeas for the beans and kale, spinach and arugula for the greens. Using a Parmesan rind adds great flavor and I used it in this recipe. In order for the beans to be soft and tender I allowed the beans to cook for the full 4 hours of time, adding water when needed. These beans turned out delicious. My husband and I loved this recipe, it was great on a cold night. It was a little spicy as written for my kids so we added sour cream to their servings. 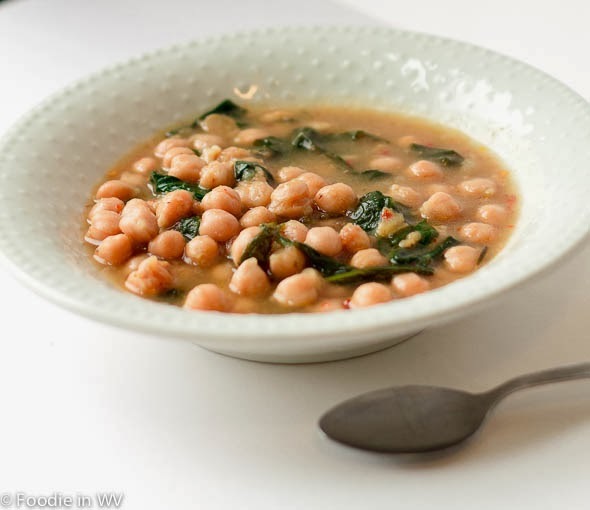 The beans would be great with a loaf of homemade bread for a fall or winter dinner. A great filling meal. 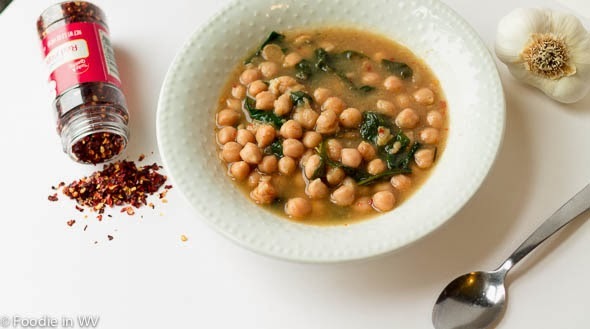 For the recipe go to Spicy Beans and Wilted Greens. This (minus the anchovies) would be perfect for me. I'd like it with the Garbanzos or the White Beans, yum! I get it. I didn't appreciate things when I was younger the way I should have, either. I agree with you about being thankful. I once heard someone say that she strives to have "an attitude of gratitude" and I thought that was very catchy and a nice way to live. The beans look delicious. 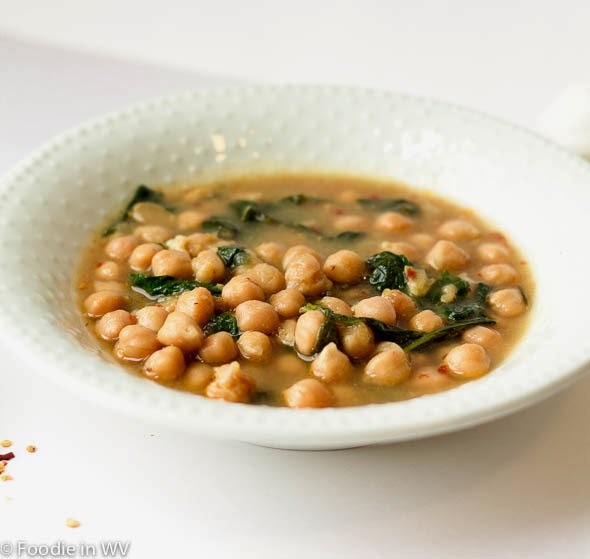 When I lived in northern NY near Lake Ontario, a lot of people there ate something they called "beans and greens" and I think it may have been similar to this.